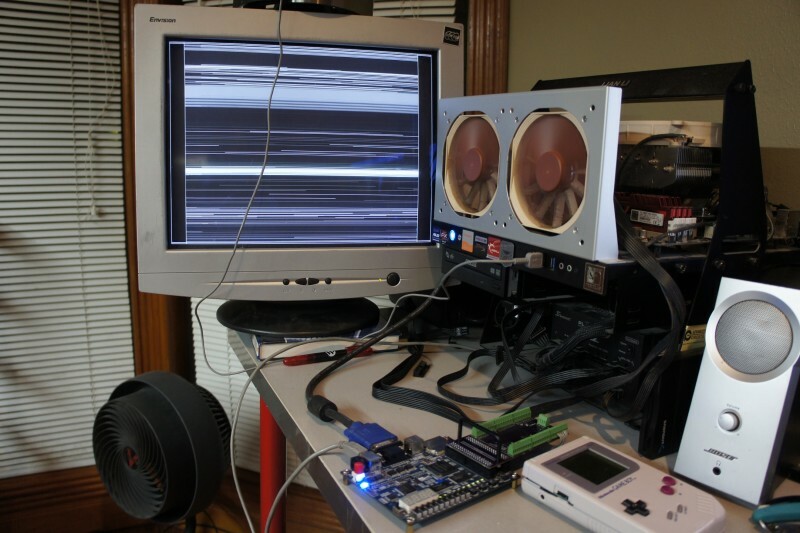 Currently the Gameboy LCD sniffer verilog code is just pulling data from the LCD bus without worrying about the clocks and putting it into the display ram. Basically just testing the level shifters. They work! Should be able to bang out the rest of the code tomorrow. Previous PostGameboy DMG-01 VGA AdapterNext PostGameboy DMG-01 VGA Adapter Something? !